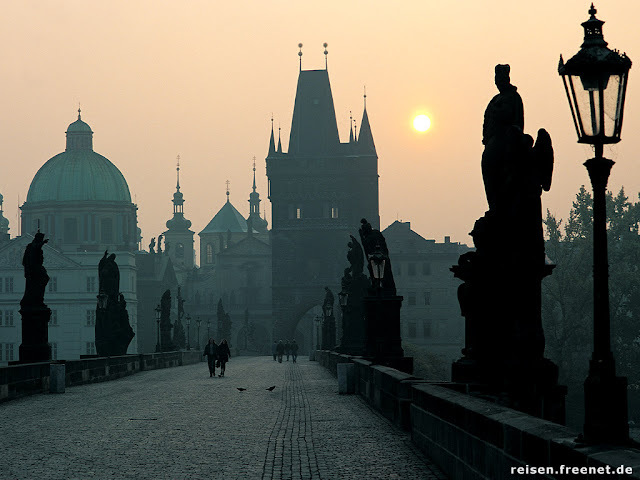 Since reading Jenni's great post on Monday, I've had the Czech Republic on my mind. It's a good thing because we have another guest blogger joining us on Friday who will also be focusing on this hidden European treasure of a country. I was lucky enough to travel to Prague in 2004 and fell in love with the perfectly quaint yet strong European city. Even though it rained the whole time I was there, I felt a warmth from the people and the city. 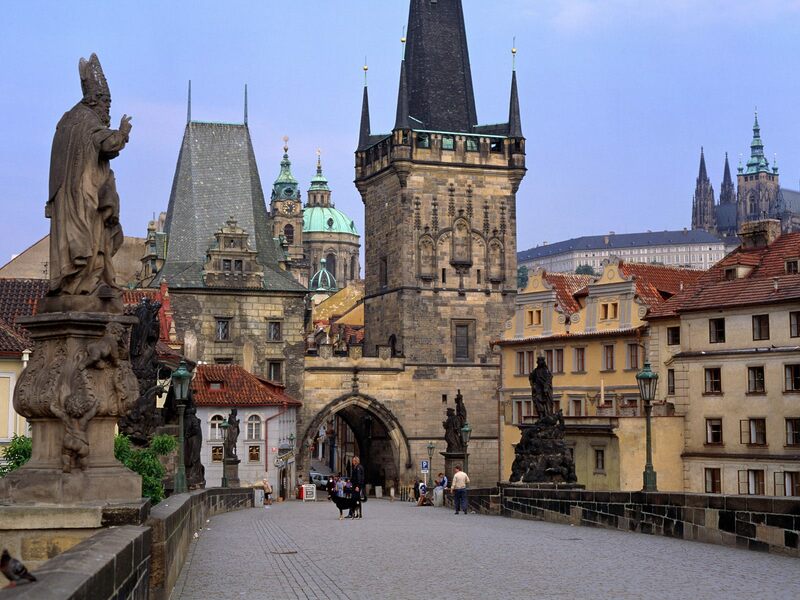 What I remember most is walking across the Charles Bridge with its incredibly large statues on either side watching over me. Something about it felt so romantic and I couldn't wait to travel back there someday with my lover. i can't wait to go back either! I am going to Europe this summer! I cannot wait! Your blog is adorable, & I love the traveling posts! oh goodness, could these images be anymore beautiful?! i want to travel to europe badly! 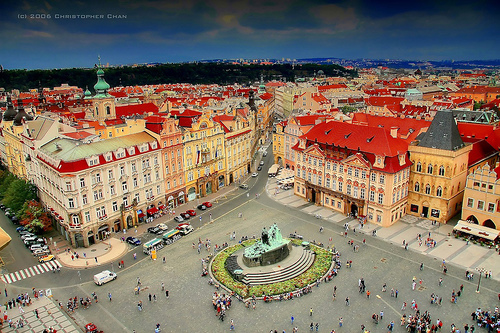 Oh my gosh, Prague is totally on my list of places to visit in Europe! Next year I turn 30 (small panic attack putting that in writing) and I am planning a trip to Europe. I'm thinking of trying to see Berlin, Warsaw, Auschwitz, Prague, and not sure what else is in that general area....can't wait! And I would LOVE any tips you might have! Yes, please. I'd love to live there forever. Beautiful photos! 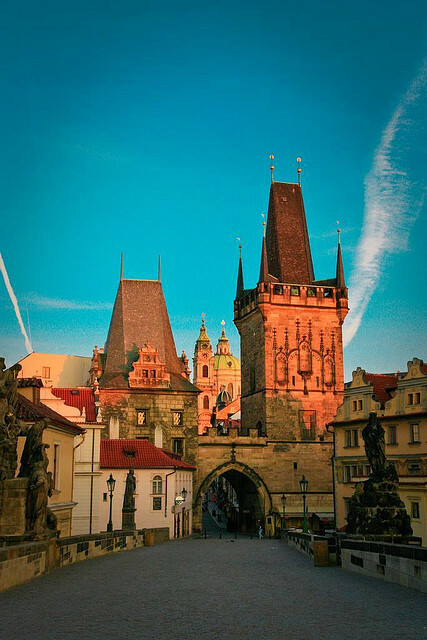 Prague is on my list of cities to visit before our tour in Germany is over. Hoping to visit sometime this year...if not, next year. Looks like such a colorful and inviting city!